This old Dodge somehow appeared in the deep mountain of Shirasawa Pass, Yamanashi. It was a chilly morning, foggy, rainy. The hike was in the forest, deep and fresh. When we arrived at the elevation of 1,500 meters we finally got to the Dodge. The abandoned truck was at a god-made location: in the misty morning it looked almost holy: it had the wings of the angel on a rotten body. 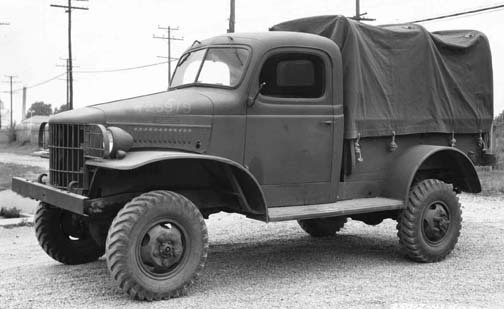 This truck is a Dodge WC-14 and was brought to Japan by the American army. After World War II, wood was very much in need, especially to repair the city of Tokyo and its neighboring areas. This truck (among others) was used to carry the wood from villages in those mountains to the plains of Kanto. Not surprisingly, the truck finally got stuck here someday. I came back three years later during winter just to find the Dodge to be unchanged. Still as amazing, but surrounded by snow. I hope the atmosphere of the place renders well on photos because the scene is, in reality, simply breathtaking.